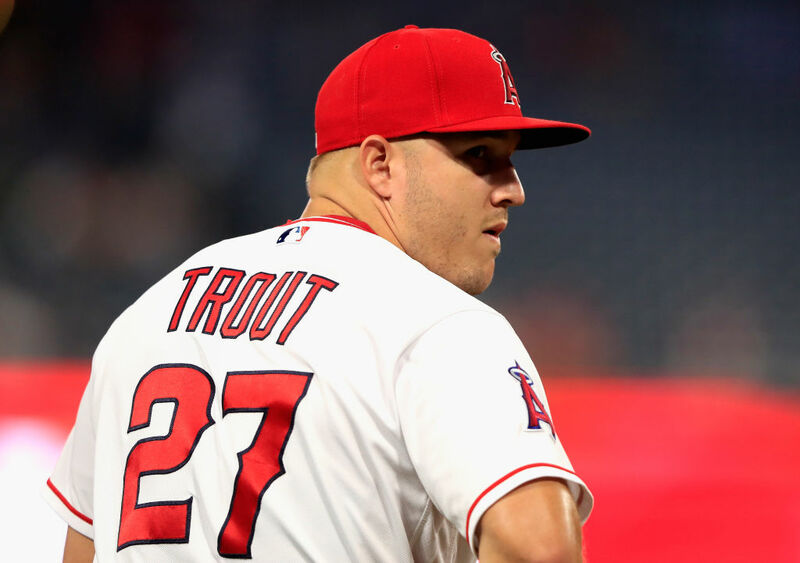 The Los Angeles Angels (of Anaheim) are close to inking a deal with Mike Trout that would be a true home-run for the center fielder. Rather than risk losing the player when he becomes eligible for free agency, the Angeles hope to lock him down with a 12-year, $430 million contract. Analysts had predicted a Bryce Harper-style bidding war might have broken out to secure him once he went free agent–but, ultimately, he didn’t even need the bidding war to negotiate a deal worth $100 million more than Harper’s much-publicized new contract with the Philadelphia Phillies. Should the deal go through, it is reported to be the single largest deal in American professional sports history. It bests the contract signed by boxer Canelo Alvarez in October, a five-year, $365 million contract with the sports streaming company DAZN. Historically, Major League Baseball contacts have been the record-setters in sports. Before Harper’s $330 million, the record was previously held by Giancarlo Stanton’s $325 million deal with the Miami Marlins, and Alex Rodriguez’s $275 million from the New York Yankees. Previous articleCan a Bunch of New Co-Living Complexes Ease L.A.’s Housing Crisis?